Topower Computer Ind. 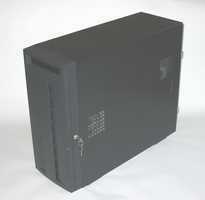 Co. has been in the PC industry since 1986, and started its range with its line of power supplies. Since then, while still known primarily for their excellent quality value power supplies, they have expanded into other areas such as server racks, rack mount chassis, and even into standard ATX server cases. The product we were lucky enough to get our hands on today is their new B030 Midi ATX Server case. This site ©Copyright 2001-2010 Overclockers Melbourne. All content contained within this site is property of the author(s) and may not be copied in part or in full without the express written consent of the webmaster and the author(s). Overclockers Melbourne can not and will not be held responsible for any downtime or harm done to your system through the following of any guides written, or linked to, by this site.